OKLAHOMA CITY -- A Salt Lake City attorney is arguing in a lawsuit that the FBI has video of the Oklahoma City bombing that shows a second person was involved. DENVER -- Pot may be legal in some states -- but the neighbors don't have to like it. WASHINGTON -- When you die, should your loved ones have access to your Facebook, Gmail and other online accounts? The first patent application or applications filed by a company can be the only opportunity to claim the most broad embodiments of a platform technology. To define the scope of what is invented, functional language often is employed in the claims, particularly where the invention is of pioneering nature, such that there is no prior art barring patentability. Such claiming strategy had been successfully employed for many years, but functional language no longer is accepted by patent offices in many jurisdictions. In the United States, such claims recently have been rejected or invalidated as not adequately described and/or not enabled. In other jurisdictions, claims are rejected as claiming by a result to be achieved. DENVER -- A federal judge in Denver declared Colorado's gay marriage ban unconstitutional on July 23, but he issued a temporary stay of the ruling to give the state until next month to seek an appeal. 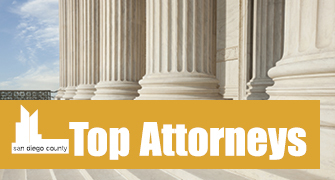 Top Attorneys 2014 pays tribute to San Diego County's legal cream of the crop. It is the culmination of a lengthy peer voting process that began in April with the announcement of a call for nominations. San Diego County lawyers were asked who among their peers -- with whom they had professional experience -- were worthy of recognition. The U.S. Supreme Court issued its share of controversial decisions during the 2013-14 term, but the justices' rulings were mostly carefully tailored, legal analysts say. On June 19, 2014, the Supreme Court of the United States issued its long-awaited decision in Alice Corporation Pty. Ltd. v. CLS Bank International, et al. The Court held that patent claims that are directed to an abstract idea are not patentable under 35 USC 101. Those in the software field will be relieved to know that software as a whole is still eligible for patent protection. Shustak & Partners PC is an AV-rated law firm with offices in downtown San Diego, Irvine, San Francisco and New York. We are known for our extensive experience in securities and business litigation and arbitration. We represent broker-dealers, registered investment advisers, brokers, publicly traded companies, local businesses and high-net-worth individuals in a wide variety of securities and financial disputes, including securities and financial fraud claims, breach of contract claims and complex employment disputes. Sometimes the first year of law school takes students by surprise. They were successful in college and expected success in law school. Ronson Shamoun of RJS Law is not your typical attorney. With 15 years of tax experience, including 10 years in legal practice, he has helped thousands of clients find solutions to their civil and criminal tax matters with kindness and compassion at the center of his practice. Downtown San Diego law firm Kirby Noonan Lance & Hoge has stayed small yet strong on purpose, with skilled attorneys who are attentive and dedicated to clients of all sizes. The firm practices a variety of specialties, including real estate, intellectual property and professional liability litigation. Trial vs. legal separation: What’s the difference and which is right for you? If your marriage has hit a crossroads and you’re contemplating divorce, your first thought may be to try a separation from your spouse first. Employers in San Diego and across the country are being flooded with interns this summer looking for work experience and that first “foot in the door” in competitive industries. For many interns and employers, payment tends to come in the form of academic credit or “life experience.” Few question this long-established practice. However, is it legal under federal or state wage and hour laws, or does the title of “intern” bestow upon it an exception? The Damiani Law Group APC congratulates Associate Andrew Hillier for his recent selection by The Daily Transcript as one of San Diego’s top attorneys for 2014. In its July 30 edition, SDDT recognized Mr. Hillier for his outstanding work in the criminal defense field. Annually, the Transcript organizes a peer-voting process to determine the best lawyers in private, corporate, academic and government practice in San Diego County. Growing up in rural Kansas, the youngest of seven, Roger Denning enjoyed science and debate. One day, as a junior in high school, he decided he should become a patent trial lawyer. Fidelity National Title’s National Commercial Services Division provides a one-stop shop for national title and closing services. With more than 165 years of experience, our highly skilled underwriters and in-house counsel have the knowledge and capability to handle title and closing/settlement transactions across the nation. The legal profession can be challenging and demanding. Your time is limited and you need to make important financial decisions that affect you, your family, and the success of your practice. Under the leadership of Top Attorney Courtney Miklusak, the Career and Professional Development Office at California Western School of Law draws upon its counselor attorneys’ collective 65 years of legal experience to match highly qualified candidates with law clerk and attorney opportunities both within and beyond the San Diego market. On the eve of Comic-Con, a group of artists and lawyers gathered at the San Diego Law Library to talk about the future of print comics, how to protect the creations and technology's effect on the industry. A San Diego Superior Court judge has quashed a lawyer's attempt to stop the city from spending $1 million collected from businesses to fund neighborhood improvements. Before taking on the ocean or opposing counsel, Thomas Frost arrives prepared.